It has been a top priority for me to make coconut ceviche from the moment I knew it existed. 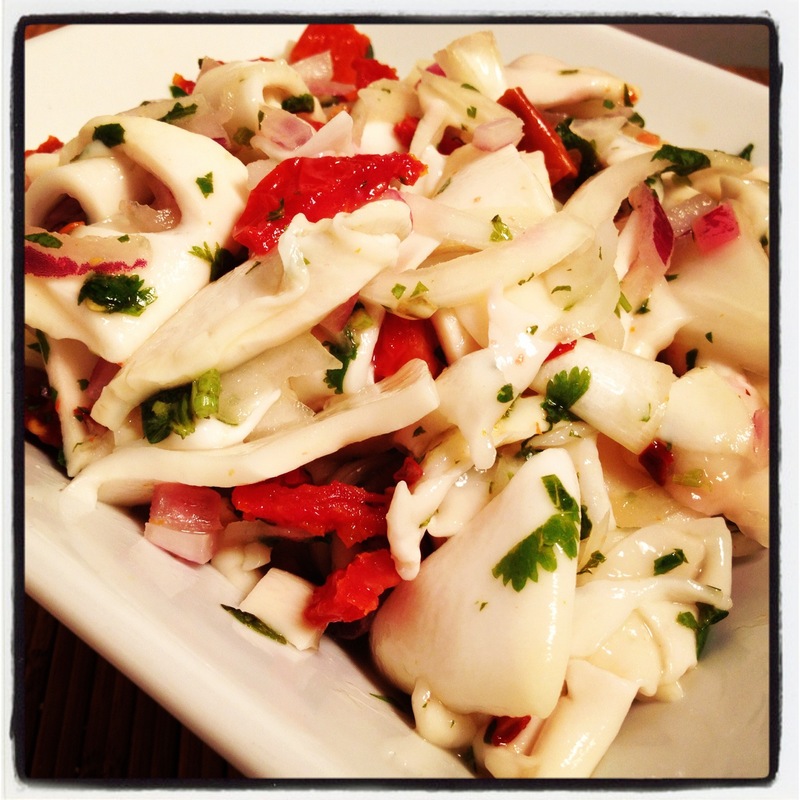 One of the last items for me to release from my diet before going vegetarian was ceviche. It was one of my all-time favorite dishes. I would always order it out when it was available and I would make my own quite often. I was pretty good at making Mexican style ceviche and later Peruvian style ceviche. The key of course, is in the marinade and letting it soak in. When I first heard the phrase “vegan ceviche”, my eyes lit up like a kid in Disney world watching the first rocket of fireworks shoot into the sky after the most amazing day in the park. I had no idea what they were talking about… was it fake soy shrimp? I had heard some mention of mushrooms.. but never coconut. It was months later when I was walking past Juice Press on East 10th Street (right down from Quintessence), that I saw a packaged raw food product labeled COCONUT CEVICHE. I was like what? I have to have that and more importantly… I have to make it myself. I had learned about COCONUT MEAT in my Living and Raw Food Intensive that I completed at the Natural Gourmet Institute. It’s not that easy to find actually. I haven’t found it anywhere except online. Exotic Superfoods packages young thai coconut meat into 1lb bags. It’s not that cheap fyi. An alternative would be to crack open a fresh young coconut and scrape out the soft white flesh. I think the brown coconuts are a different story. The meat is hard not soft. The coconut meat arrives frozen. First I had to defrost it in my refrigerator which took about one day and a half to two. You have to pay attention to shelf life here because the meat is only good for about 2-3 days after it thaws. Next I sliced it into thin slices. It looks and feels like calamari but smells a whole lot better lol. I cut and squeezed fresh lime- a few limes for sure. Then I added chopped cilantro, onions, chili and for me.. the sun-dried tomatoes. The key as I said before- is to let it marinate at least overnight if you can refrain from eating it! Note to self.. again: I am skipping days 206- 218 for now! Honestly, the experiences are jotted down but not blogged. It’s more important for me to stay current than to play catch up. I can’t instagram and facebook the picture and then talk about it 2 weeks later lol. I’m sorry! Free pass #2! That means you will miss the chocolate mousse unless I make it again. Ok ok- I will make it again!